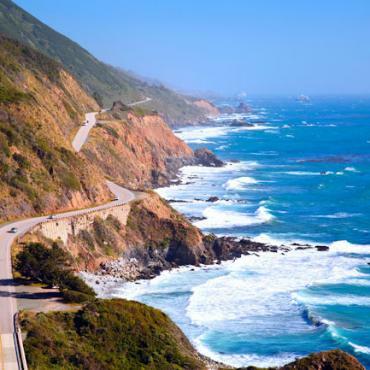 Few stretches of coastal road anywhere in the world can compare to the scenic beauty of the Pacific Coast Highway-also known as Highway 1. 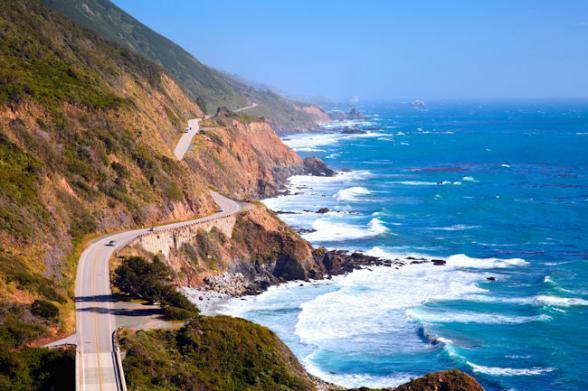 Just over 655 miles, it is the longest state route in California and provides an exhilarating driving experience. The twisting, cliff-hugging route is a designated ‘All-American Road’ adding it to a distinctive collection of the most interesting roads in the USA. California’s Central Coast, accounts for 350 miles of the world’s most beautiful coastline. Stretching from the grandeur of Big Sur to the Mediterranean-style stretch of Santa Barbara, nicknamed “the American Riviera,” this region is known for its picturesque hamlets, jagged sea cliffs and rolling wine country. Discover secret beaches, stroll a redwood trail, spy a sea otter or sip something from a local barrel. California Coast holidays are all about Pacific sunsets, national and state parks, world-class wine regions, and classic beach towns. Let the experts at Bon Voyage help plan your California coast adventure. Simply call our team on (0800) 316 3012, or email your holiday requirements here and we'll take care of the rest. The focal point of of Surf City USA is the Huntington Beach Pier. Stretching more than 1,800 feet into the ocean, it is the perfect vantage point for viewing the gorgeous coastline and watching the awesome talent of local surfers. The Legendary Corky Carroll and his Surf School. Huntington Beach, aka Surf City boasts a fabulous and scenic 8.5 mile bike path that runs parallel to the Pacific Coast Highway. William Randolph Hearst told architect Julia Morgan in 1927 that he wanted to build "a little something" on the California coast. Eighteen years later, Casa Grande (commonly called Hearst Castle) . Combining the charm of a quaint Californian wine country inn with the modern conveniences of a luxury hotel. This urban chic hotel in downtown San Luis Obispo features not only a popular French Bistro but a lively rooftop terrace and fire pits. The only hotel on the beach, this boutique hotel is a go-to for surfing and sunsets, and only a short stroll from the historic Beach Boardwalk too! Nestled in the beachside village of pretty Capitola-by-the-Sea, this historic inn is just a short stroll from oceanfront restaurants and boutique shops. Looking for a quirky stay? Check out this Airstream resort near the beach and historic downtown Ventura. There are trailer styles that will suit all tastes, from vintage to modern luxury! This modern Marriott hotel is only a short stroll to the beach. This charming inn overlooks the Pacific Ocean, is 3 blocks from Cayucos State Beach, and only five minute drive to Morro Bay. This quaint, romantic, all-suite B&B is only a five minute walk to the sweeping sands of beautiful Morro Bay. The Anderson Inn is a delightful, contemporary 8-bedroom boutique hotel right on the waterfront overlooking imposing Morro Rock on the bay. Set in a half-acre of gardens, this Craftsman-style bed and breakfast inn provides a fabulous view of Monterey Bay with its famous barking seals.